ISLAMABAD: To make the city free from pollution and dirt, the Capital Development Authority (CDA) on Monday formally launched a sector-wise renovation, up-gradation and beautification drive. 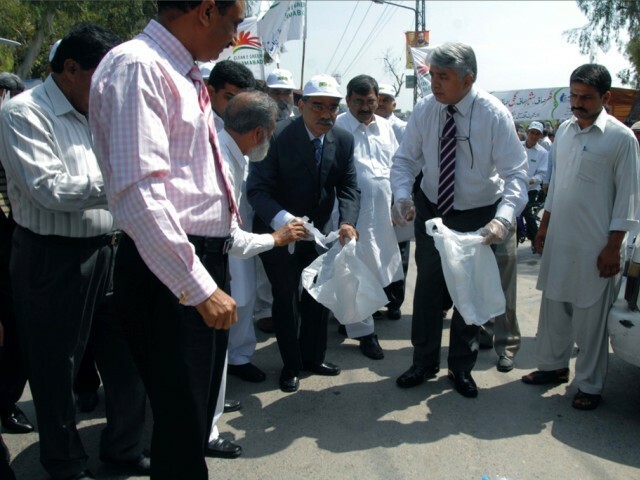 The drive titled �Clean and Green Islamabad� was kick-started by the CDA Chairperson, Syed Tahir Shahbaz, along with school children by symbolically collecting garbage in Sector I-10. Representatives of the Islamabad Chamber of Commerce and Industry (ICCI), members of traders� welfare association, civil society, children from different schools and a large number of residents of Sector I-10 were present on the occasion. Shahbaz said that the main purpose of the campaign was to repair, maintain, renovate, upgrade and upkeep all sectors of the city without any discrimination.